You generosity makes our work possible. By making a financial donation, you are ensuring we can continue to provide life-changing services for families and children right here in the Denver metro area. 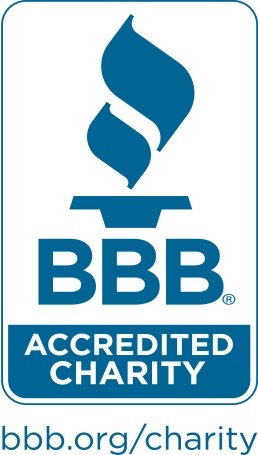 Receive up to 25% credit on your Colorado income tax. 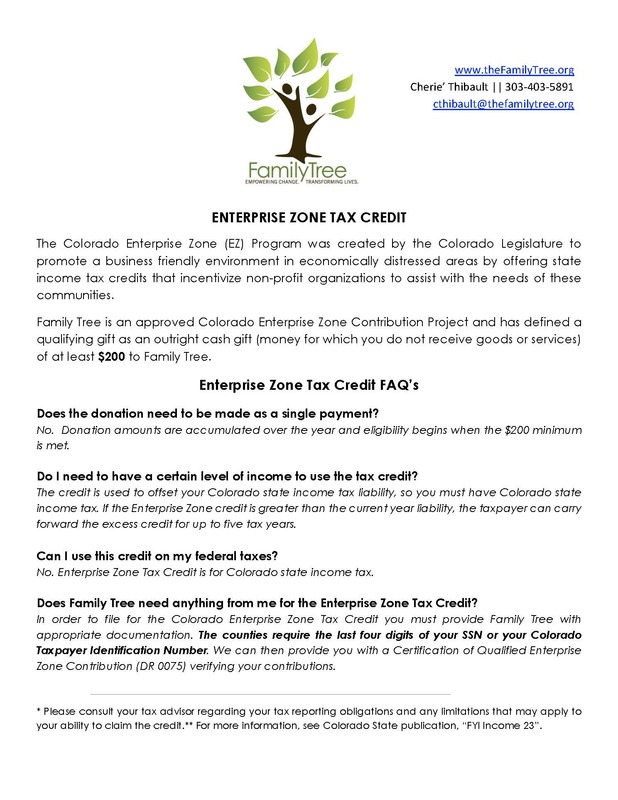 Family Tree is an approved Colorado Enterprise Tax Zone Contribution Project and has defined a qualifying gift as an outright cash/check/credit card gift (money for which you do not receive goods or services) of at least $200 to Family Tree. Your help ensures that Family Tree can grow our network of supporters and continue to provide individuals and families experiencing homelessness, child abuse, and/or domestic violence critical access to the programs and resources they need to transform their lives. domestic violence and homelessness, permanently strenthening the community we all share. Your monthly sustaining dollars for Family Tree's children and families enables you to join a community of supporters who understand the importance of ending child abuse, domestic violence and homelessness. Vehicles for Charity administers car donations for Family Tree. Shop at AmazonSmile and your purchases may qualify for a donation to be sent to Family Tree. Donate to Family Tree through your next car purchase: 1% of the purchase price goes to Family Tree.